In 2017-18 academic year we are supporting a programme of activities for the children of Safonovo Orphanage. 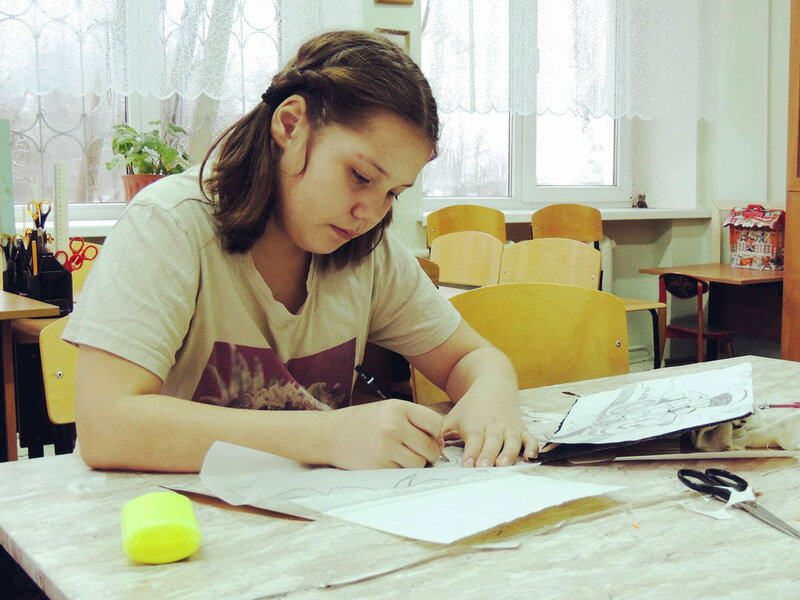 The limited range of creative activities available to children in Russian orphanages makes their already-hard lives even harder. Throughout the academic year more than 50 schoolchildren aged 5–17 will have the opportunity to attend a variety of regular after-school classes, from acting to animation, dance, and design. These classes will be a great help to developing the children’s creative thinking, leadership and teamwork skills, and will provide them with an opportunity to socialise with each other. In this inspiring, creative atmosphere the children will develop fine motor skills, learn attention to detail, and refine their aesthetic tastes. The skills and experiences the children will get on these programmes will make them better equipped for independent lives, beyond the walls of the orphanage.